We’re just going to leave this here for now as we’re not 100% sure to do with it. 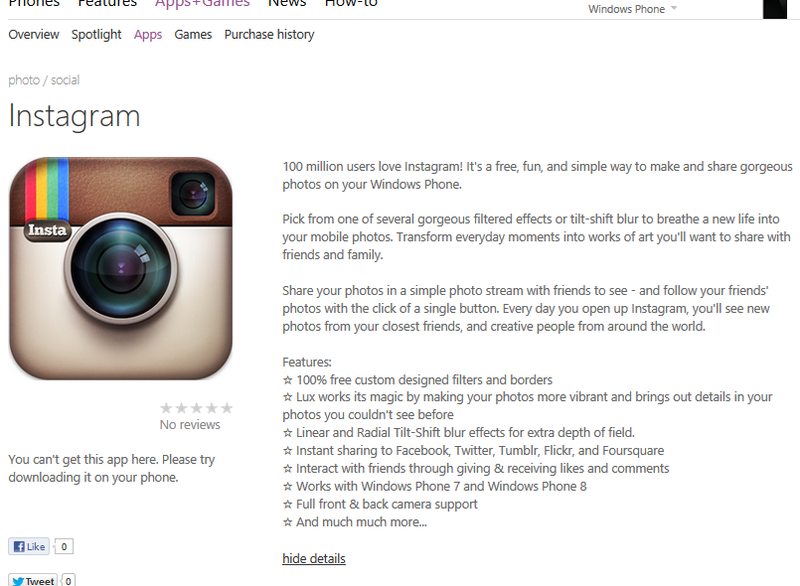 The image above reportedly reveals the official Instagram app for Windows Phone 7 and Windows Phone 8 on the Windows Phone Store page. But images can be faked and this one has a few issues with it. Obviously the use of 'Android' and not Windows Phone is a little suspicious but then again, if this was a quick copy/paste job done internally at Microsoft, who knows what their standards are (if any) for private apps. The listing notes that the app is not available for download, which suggest that this is for internal app testing. Another curious thing about the image is the Photo > Social category because as of right now, there is no such category on the Store. That’s not to say this app can’t be creating that category and when it is made public, will be instantiated—but it does raise an eyebrow at the least. Overall, we’re leaning towards fake on this only because the burden of proof is on the new Twitter account that leaked it: @anontechleaks. Store listings and screenshots are super easy to spoof and with no way of validating this ourselves, we have to assume that we’re being hoaxed here. Still, leaving some wiggle room for error we can think of a few ways that this could be legitimate. For one, it was rumored that Microsoft had already built an Instagram app but are simply waiting for permission to legally access their APIs. That mirrors a similar situation with a high-quality YouTube app that Microsoft reportedly has compiled but can't release it to due to Google's restrictions. We also just reported a story about hidden apps on the Store, showing that indeed there are some gems lurking in the background (of course, no Instagram app was found during those searches). But we'll leave this to you today: Is the image and app fake or not? 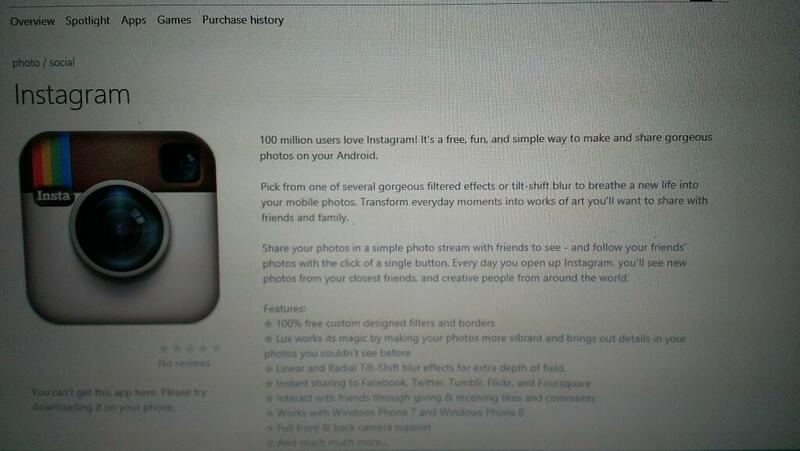 Is that Instagram image real or fake?